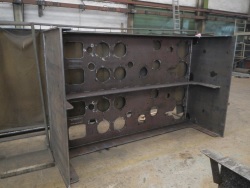 Among our other options include welding, cutting, sheet metal work, sanding, painting. 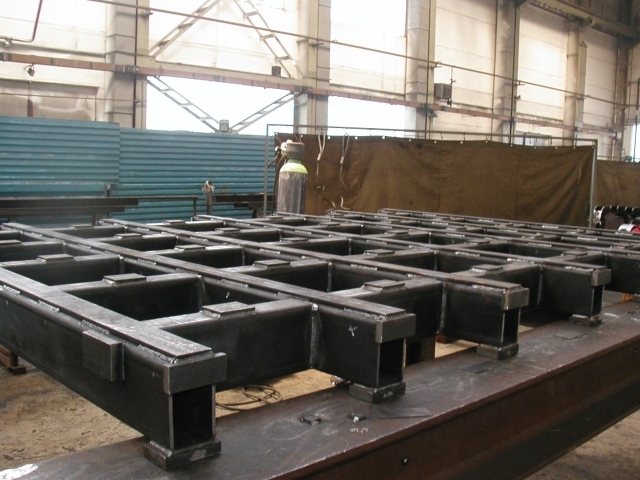 Our main business is the construction and realization of molds for polymer concrete castings. Polymerbeton is a composite mixture of resin, hardener and sand. 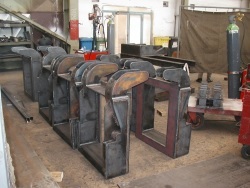 Casting takes place in cold and heat only due to exothermic reaction. When designing, we build on the rich experience gained in the design and implementation of more than a dozen moulds. This is a complex activity from mould design in 3D software, drawing of fragments, drawing of machining drawings to the actual realization - welding, machining, painting, assembly of the mold, handing over production documentation. We are able to ensure material separation and subsequent welding, machining and surface finishing.